This version of Eset NOD32 Antivirus is only to : Microsoft Windows 10, 8.1, 8, 7, Home Server, Vista, XP SP3 (64-bit) ! ESET Smart Security is all-in-one Internet security software. It keeps you safe online and offline - and includes Anti-Theft to track, find and help retrieve your missing laptop, plus Botnet Protection to detect and prevent attempts to infiltrate your system. Integrated antivirus, antispyware, firewall, anti-theft and antispam modules, along with parental control, make ESET Smart Security a complete security solution. This manual will guide you step-by-step through a typical installation and the basic configuration of the product. 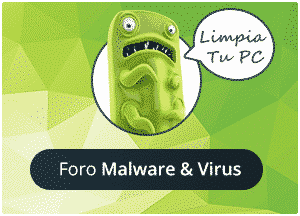 Antivirus : Proactively detects and cleans more known and unknown viruses, worms, trojans and rootkits. Anti-Theft : Extends security in the case of a lost or stolen device and allows you to locate your laptop if it goes missing. Firewall : Prevents unauthorized users from gaining access to your computer. Monitors traffic to and from your computer. Banking & Payment protection : Adds a level of security on internet banking sites and when making payments online. Parental Control : Prevents children from getting access to pages with inappropriate or harmful content. Antispyware : Protects you from hidden backdoors, downloaders, exploits, crackers, hijackers, password stealers and keyloggers. The Home section displays a detailed report of your protection status. In the event that any protection module is disabled, the Home window will show the name of the disabled module, along with a link allowing you to re-enable it. Green : Antivirus protection is working properly and your computer is protected against malicious software as well as network attacks. This status indicates that all protection modules are enabled and the virus signature database is up-to-date. - Real-time file system protection is enabled, but the maximum level of protection is not ensured. - Email client protection or Web access protection is disabled or malfunctioning. - Real-time file system protection is disabled or malfunctioning. Since the proper function of this module is vital to your system’s security, we recommend re-enabling the inactive module immediately.